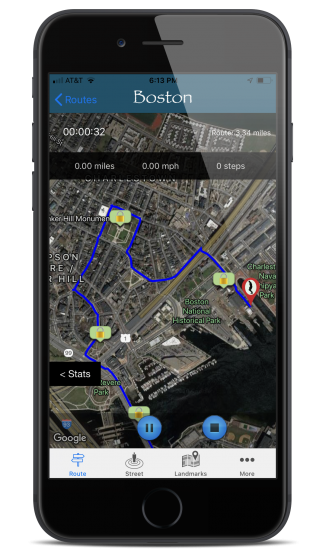 Remote Walk is an exercise walking app that lets you select between multiple routes in different cities and just start walking wherever you are. 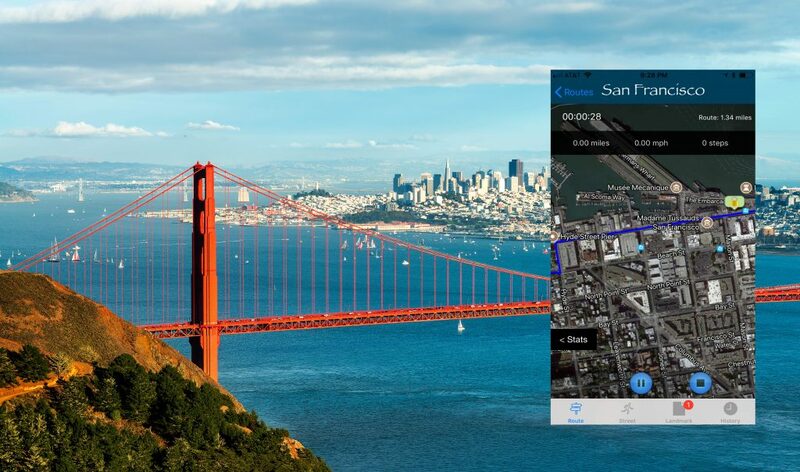 The app gives you an experience like you are on the selected virtual route. Track your virtual movements through the selected routes with GPS on your phone which will mirror your virtual path using your actual movements. You can also progress through the routes using step counting or setting a fixed speed. Easily bring up views to see your progress on a flat map or street view as well as seeing information on landmarks you pass. Hear landmark names spoken to you as you pass them, as well as get popup notifications on the phone and Apple Watch if you have one! There is a ‘Landmarks’ tab where you can see a list of landmarks you have passed. Select the landmark to see information about the landmark, including the ability to see a 360 panorama of it that you can look around using gestures (using Google panorama technology). Sign up now for info and updates!